As you place objects on the diagram, they automatically align to a grid. 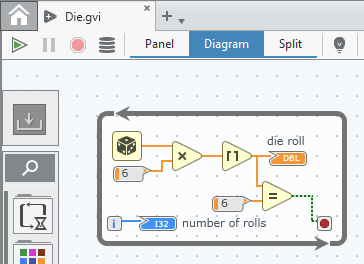 Making this grid visible can help you keep the diagram organized as you add and arrange objects. On the VI tab, in the Diagram Editing Defaults section, place a checkmark in the Always Show Grid checkbox.